Invest at least $10k in FX VIBES managed fund, and get a free gift - CleanSmart Intelligent Cleaner Robot (worth $600). 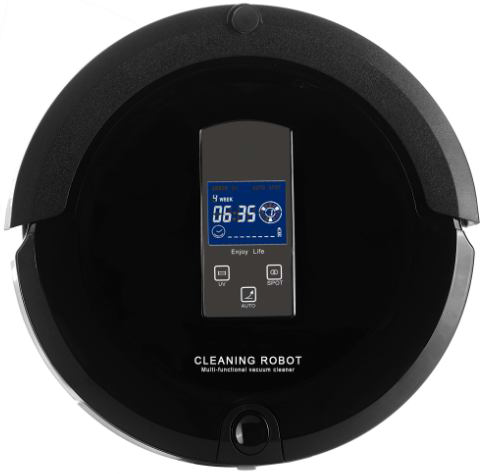 CleanSmart Intelligent Cleaner Robot is a 4-in-1 Cleaner Robot – sweeping, vacuuming, mopping and disinfection, that helps you keep your house clean efficiently. * you must sign up for an account and invest under FX VIBES via this link here. * join the FXvibes - managed forex trading group on FB. * net deposit of US$10,000 must be maintained throughout the period of one year for this promotion to be valid. * free gift may be redeemable after one year from net deposit of US$10,000, and/or when equity increases by at least 50% from your gross total deposit, whichever earlier. * once you have signed up for a PAMM account and made the deposit, do email me on fxvibes@gmail.com with your name, investment account number, and mailing address. * valid for the first 10,000 investors. * FX VIBES reserve the rights to replace gift with item of similar value, should the CleanSmart Intelligent Cleaner Robot be unavailable.